More than others, it’s a flat surface reconciles him to the interest of the work. 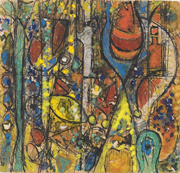 The plane is divided, there is kinship with Klee and early Pollock and stained-glass windows, early. Rothko fixed the element of standing focus for perspective in the same way out of these Cornell boxes. 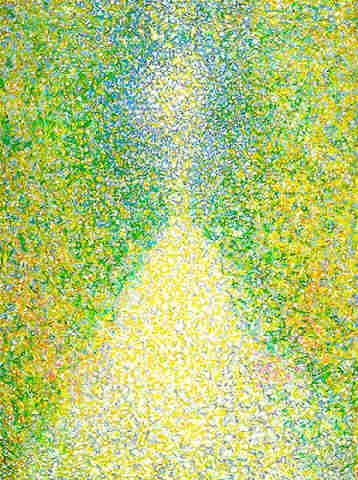 Pousette-Dart has it from the first and relinquishes it, finding Impressionism enough for a guideline. Fields of flowers blurred for you, no effort necessary, the available increments sharply divided (like Mark Tobey’s doodles), to fuse loosely.